What are benefits and need of virtual phone number? Virtual phone number is a unique phone number that is distributed geographically. Virtual phone numbers are generally used to forward all incoming calls to another number. You can transfer all calls to any other number like on your office number, home number or on any landline number also. Suppose, you are working from home at one day and want all calls at your home phone number. You can do this by using the virtual phone number. 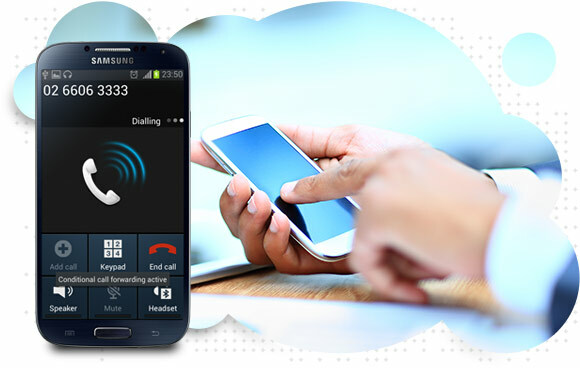 In the technical field, virtual phone numbers are called direct inward dialing numbers (DIDs) which do not require any special hardware device like or cable connection (another sim card or new phone). Virtual phone numbers are not associated with a specific mobile phone as they are used to forward any incoming call. When you use virtual phone number for calling either in roaming area or in another country, call charges will be incurred at local call rate charges. So, this phone number is also helpful in saving your money. For future use, call recording facility is also in virtual phone number. Why we use virtual phone numbers? Many people have some questions in their mind regarding to virtual phone numbers. We have given some solution so that they will get their desired answer for using virtual phone number. Roaming and international calls are at affordable price – virtual phone numbers are not any specific for any area. They can be set to any country or city code. If you are living in New York City, then you will also get your virtual phone number from Los Angeles city without any difficulty. Forwarding calls to any device is so easy – virtual phone numbers can be created to transfer call to nay device like landline number or nay another number. Suppose, you have one mobile number and you get number of calls at the same time. You must create the virtual phone number so that all incoming calls will be transferred to another number. Create automated phone campaigns – virtual phone number also have a facility to send a voice sms, text sms or to connect to recorded call. In call center, when a customer calls to customer care executive (CCE) to solve his queries, CCE may send a test sms or voice sms to him or her or may connect to that call to a recorded call but customer will not get idea either he is talking to CCE or connected to recorded call. Many business or startup businesses may use virtual phone number to avoid expensive call charging bills. Virtual phone numbers can be set to forward incoming call to any other phone, so that all employees will receive incoming call on their phone numbers. Virtual phone numbers are mostly used in call centers to solve all customers query at the same time. Virtual phone numbers are free or not? Number of reliable providers is available in the market so that you can buy virtual phone number with very reasonable price. You have to pay only $5 to $10 per month for using virtual phone number. Many users want to use free number, they are free but you have to pay only little amount of money as $1.